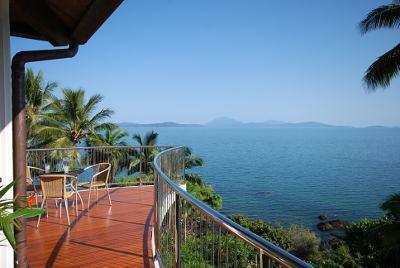 Rejuvenate in luxury, with an unbeatable aspect, location and view! 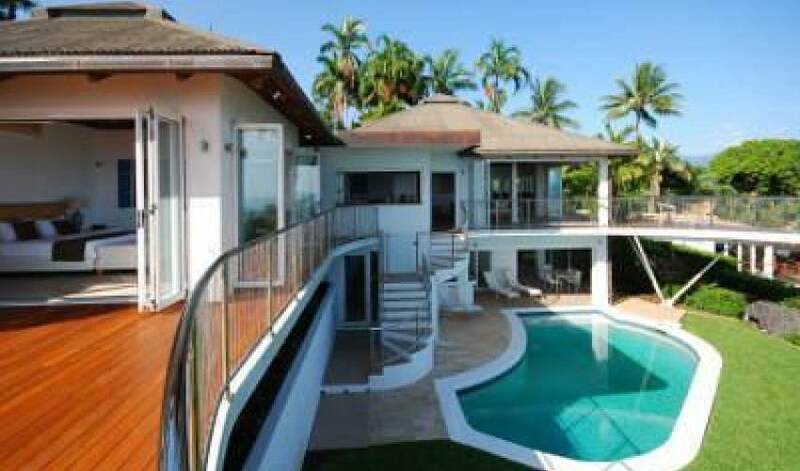 The ultimate prestige holiday residence, in the most desirable street in town. 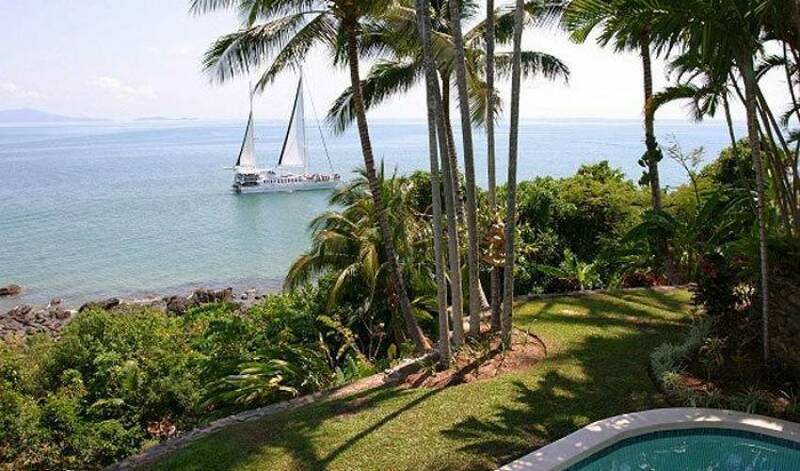 This villa commands the most sought-after N-E outlook. Photographs cannot do it justice. The most romantic location available. 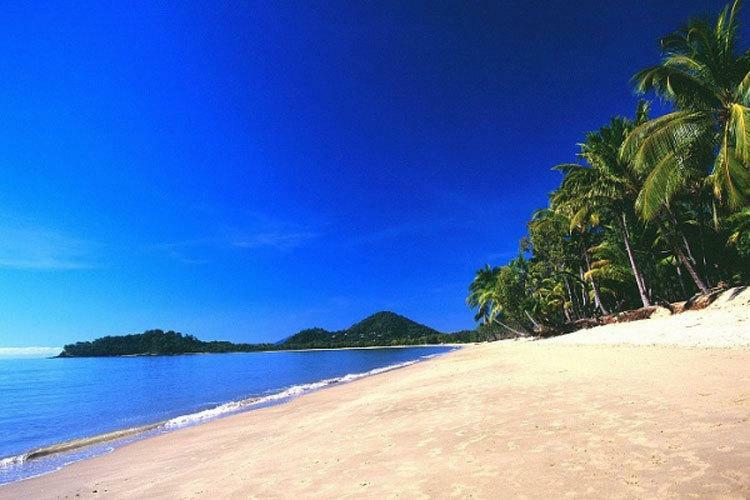 The beach, marina, shops and some of the best restaurants in Australia are only five minutes stroll away. Yet privacy, seclusion and security are assured. Imagine the best suite, in a 5 star resort, all to yourselves! 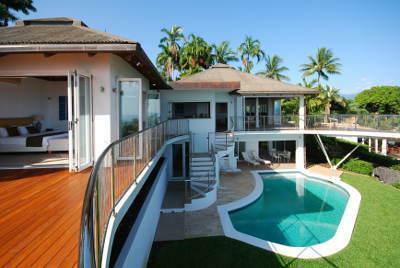 Your own private retreat, pool and spa! As the large carved timber entrance doors are closed, the rest of the world is put behind you. 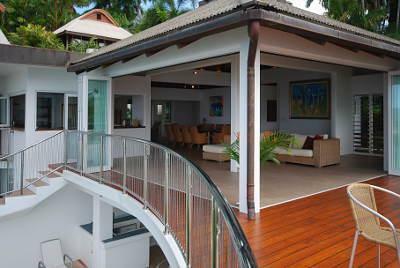 The generous interior is accentuated by spectacular timber and tropical cane ceilings. 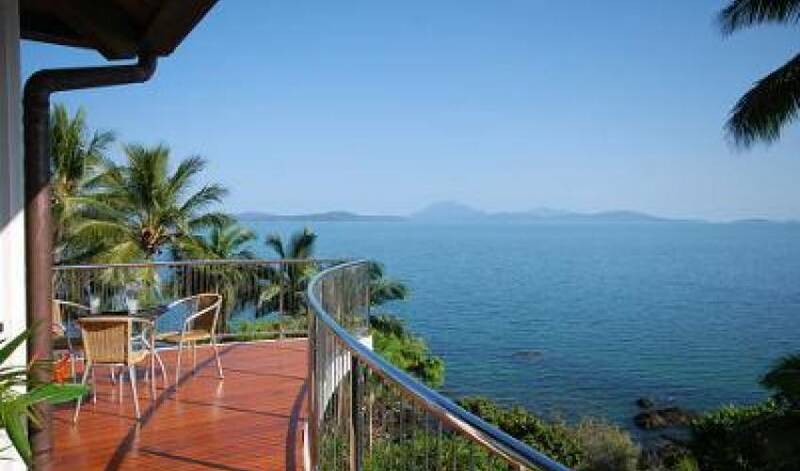 The home then opens to a breathtaking panorama of Coral Sea, tropical islands, Daintree Coast and rainforest-clad mountains. 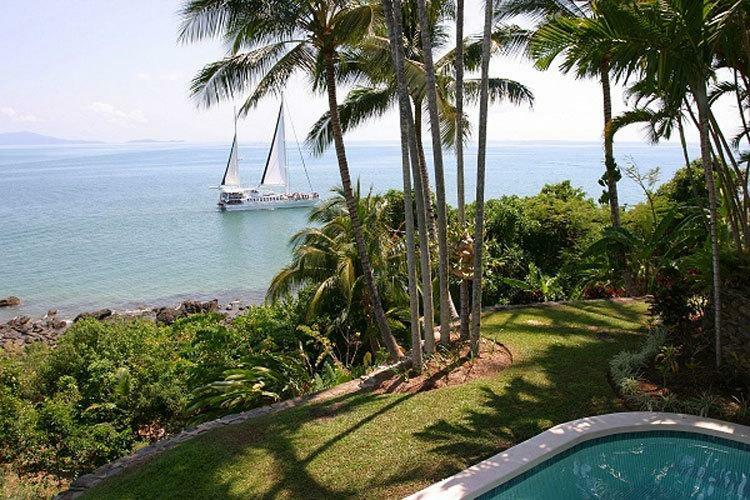 Blend a mango daiquiri, relax, and watch the sports-cruisers, dive boats and yachts, sail gracefully back from the Great Barrier Reef at sunset. The grand master bedroom with generous en-suite is simply stunning. 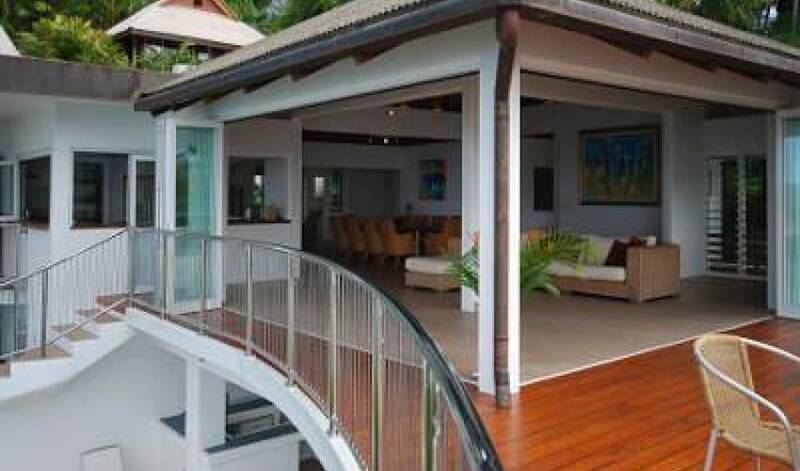 Two walls of glass open to tropical palms, a private sandstone deck and the ocean vista beyond. The second bedroom can have a king bed or two king singles, with walk-in robe, en-suite and private balcony. Digital satellite TV and DVD is also provided. A dedicated TV Room has a giant, wall-mounted plasma screen TV, with satellite and DVD; as does the master bedroom. A Bose stereo system sets the mood in the large living area. 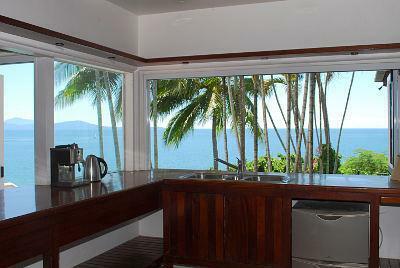 The kitchen has all new stainless steel, high quality appliances. 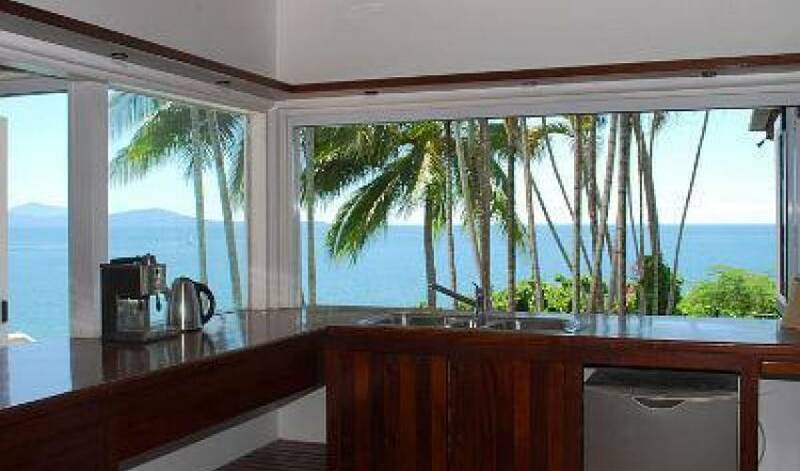 The gourmet kitchen, dining and living areas all enjoy the gorgeous Coral Sea and mountain views. Downstairs, is a cushion filled Mediterranean style lounge and wet-bar (for another mango daiquiri), private swimming pool and outdoor dining, all in the same stunning setting. A third bathroom with shower and bath is also located here. A visiting masseuse can attend you in the separate pamper room with massage table, stereo and essential oils. Have a massage, then be left to relax or snooze, rather than travel or walk, after pampering. 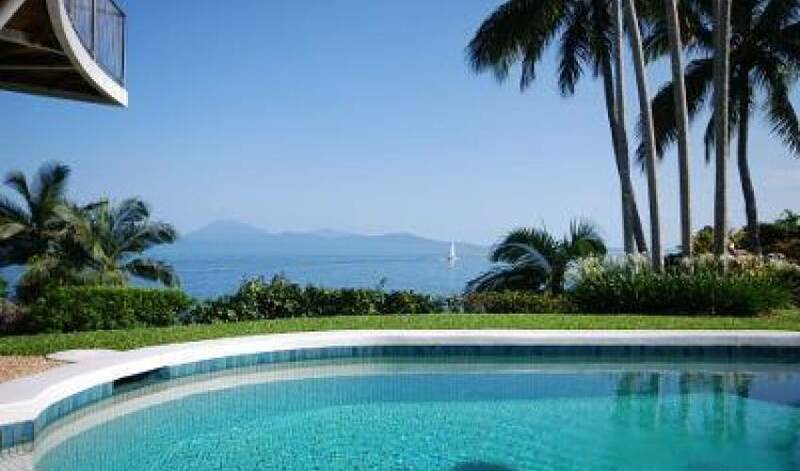 This beautiful villa offers luxury and romance in an amazing, inspired setting... a memorable holiday which exceeds any resort. There are no shared walls. 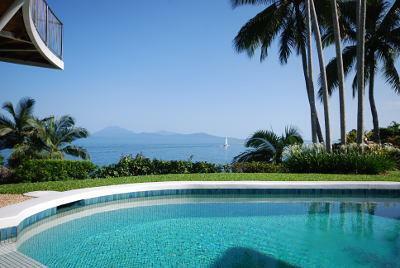 The home, landscaped grounds and swimming pool are for the secure, private enjoyment of our guests. Also included are complimentary linen and towel change. Management is just a phone call away for tour bookings, boat charters, information and assistance. Try a helicopter tour and romantic picnic for two, on a deserted coral-cay. 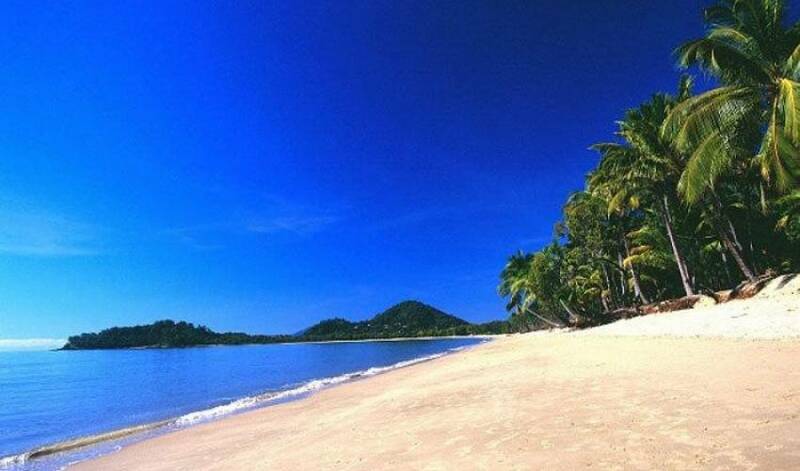 We can arrange great rates with local tour operators.